A valley full of ruins, the oldest pharmacy in Italy, a rainbow lake, Pompeii plaster casts and an Egyptian pyramid. 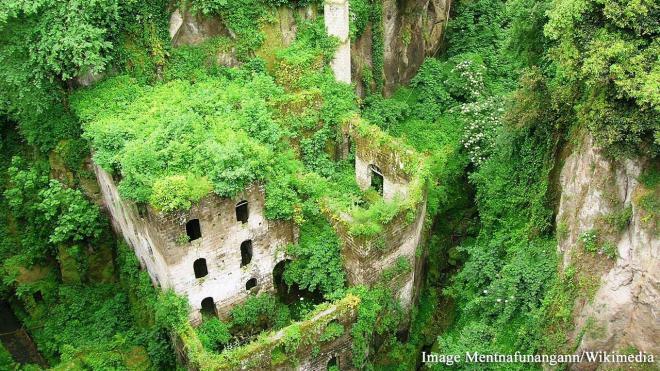 The Valley of Mills is a group of ruins at the bottom of a crevasse. The flour mills, some built in around the 13th century, used a stream at the bottom of the crevasse for their work. Eventually, the work was mostly moved to nearby pasta mills, meaning the building became obsolete and are now crumbling since they closed in the 1940s. They are now overgrown by the greenery in the crevasse and resemble the post-apocalyptic films and series we see nowadays. 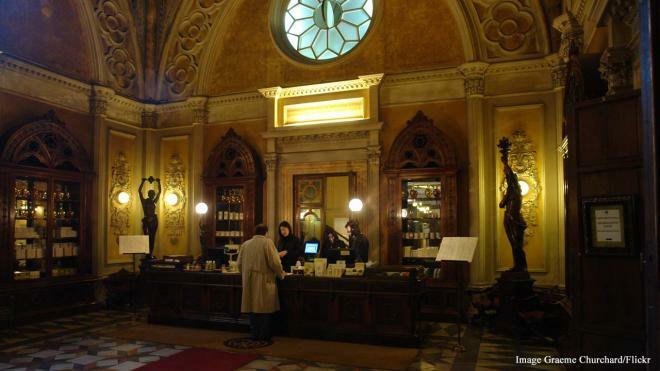 The pharmacy is most likely the oldest, still open and operating pharmacy in the world. It is definitely the oldest in Italy. It first opened its doors in 1221, where the Dominican monks grew herbs to make salves, balms and medicines for their own infirmary. However, their products were so superior, the pharmacy opened to the public in the 17th century. It is still open to this day and uses the same, original recipes.